I forgot my Rentlio password. What now? In case you forgot your Rentlio password, you can easily reset it and set a new one. 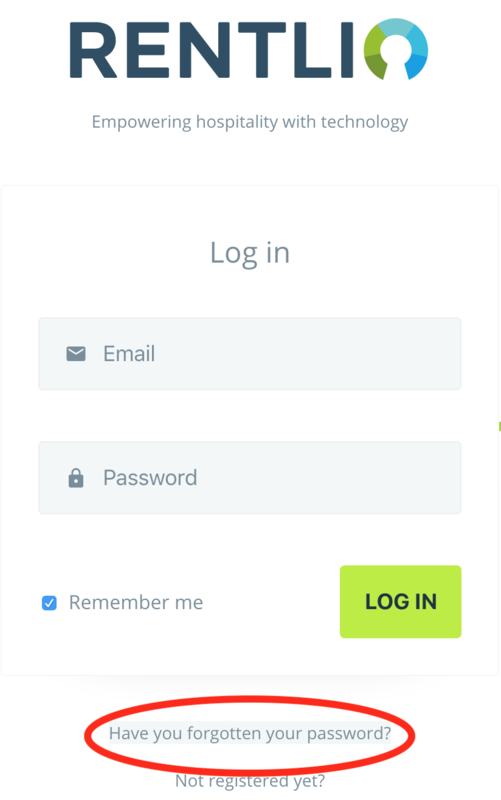 On Rentlio login screen, simply click on "Have you forgotten your password?". Clicking on this link will redirect you to a new screen where you will have to enter your Rentlio login email address. By doing so we will send you a link to reset/change your password to a new one.